To encash on the increased demand during the festive season, builders, on their part, leave no stone unturned to lure customers with freebies and discounts. 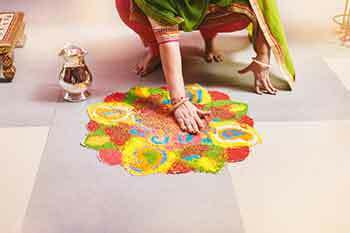 The festive season is considered auspicious for property purchase and Indians across many states prefer to make informed property buying decisions during this period. To encash on the increased demand during the festive season, builders, on their part, leave no stone unturned to lure customers with freebies and discounts. Over the last few years, mounting unsold stock across cities prompted developers to clear their stock and focus more on project completion rather than launch new ones. This year, launches have increased, and many builders have, in fact, been offering schemes, freebies and discounts all year long to attract home buyers. Some of the prominent offers include cash discounts, flexi-payment plans, no registration or stamp duty fees, no EMIs till possession, free home appliances or gold coins, etc. A lot is up for grabs and it is interesting to note the variations in festive discounts. Cash-starved developers are also coming up with some very innovative and attractive schemes. If we analyse the trends during the year and previous festive season, customized payment plans and schemes assuring good rental returns were prominent among the incentives. Positive consumer sentiments backed by various reformatory changes have kept the momentum going in Indian real estate in 2018 with a q-o-q increase in new supply and sales. Considering the growth in supply and sales, the current festive season is more positive for home purchase than the previous year. There is a lot of supply in the market - both in the ready-to-move-in and under-construction categories. As per ANAROCK data, the overall unsold stock across the top 7 cities as on Q2 2018 is 7,00,800 units, denoting a decline of over 10% as against the corresponding period in 2017. Likewise, the resale market is replete with options. In terms of demand, it is returning on a cautious note as buyers are focusing only on completed projects or those in advanced stages of completion, and only by RERA-listed developers in the latter category. In the under-construction category, GST is an enduring cause for confusion and uncertainty, as is the unwholesome aura of delayed projects which has been plaguing the market in many cities. Investors have more or less evaporated, so developers are unable to offload multiple flats in a go. End-users are back - but they're not making impulse buys, are checking every option and negotiating hard. As a result of all these dynamics, price shave either remained stagnant or grown only minimally in some high-demand/low supply areas. Across the country, new launches have started increasing even before the festive season. As per ANAROCK data, nearly 30,840 new units have already been added in mere 2 months (July & August 2018) across the top 7 cities in the country, led by MMR and Bengaluru with nearly 13,570 units and 6,000 new units approx. This supply in just two months is already 400 units more than the entire Q1 2018 new launches across these cities. However, by and large, developers are also focusing more on completing their ongoing projects as the spectre of RERA with its strict guidelines on timely completion looms large over them. Only the most financially sound builders are venturing into new launches at this stage and are focusing on the budget homes segment as luxury and even semi-luxury continue to languish. Most of the launches we have seen in recent times are in the affordable housing segment. As per ANAROCK data, out of the total launched units across the top 7 cities during January to August 2018, nearly 39% comprised of the affordable segment (<Rs40 lakh), followed by 34% in the mid segment (Rs40 lakh - Rs80 lakh). This is because affordable housing is the highest seller at the moment owing to the various incentives that the Government has extended to budget home developers as well as buyers. On the one hand, some offers can be genuinely rewarding if the customer has picked the right developer and project. On the other, offers can also be misleading - for instance, if a financial scheme is not transparent and/or the buyer does not read and understand the fine print. Also, white goodsfreebies only make sense if the property itself is of inherent value to the buyer. RERA requires developers to be completely transparent in their offerings, including in terms of schemes and freebies which must qualify as fair and transparent promotional activities. Misleading promotions are not allowed under the RERA regime and few players, if any, will resort to them now. Nevertheless, buyers often ignore the fine print of a superficially attractive but inherently worthless offer, or not seek to understand the exact ramifications, in which case the developer can technically not be held responsible as the information was provided but ignored. If a buyer has selected a desirable property and is getting add-ons like free furnishing, modular kitchens, essential fittings and reserved parking space, these make sense as they are genuine value-additions. Also, waived stamp duty and registration charges result in significant savings. However, none of these make sense if the project is in the wrong location or there are other inherent defects such as unreliable utility supply, lack of social infrastructure and insufficient public transport options. A price discount is the clearest and most decisive incentive that a developer can offer, but a buyer should focus equally on the value obtained and the money saved. However, this brings up the historic aversion of developers to formally announce price drops. If some developers in a certain locality start announcing rate cuts, other players have little option but to follow suit in order to stay relevant in this highly competitive market. However, this trend is more prominent if a leading developer At the end of the day, relationships matter in the developer community and few, if any, players will be willing to start a price war. Moreover, developers invest significant capital into land, construction and building permits and need to recover these costs with at least some profit margin. No developer can afford to sell at a loss, and just breaking even is also not a desirable strategy in any business. Therefore, announcing hard discounts is considered the last and least desirable option. There is certainly no shortage of options on the market – but the German saying which translates to ‘with many choices comes great despair’ seems to hold true in the current market circumstances. The multitude of choices and available offers can induce what is commonly known as ‘options paralysis’ in marketing speak, even though the time is really optimal for end-users. If one has already made a firm decision to buy a home and identified the right property, it is certainly worth shaking off this paralysis this festive season. However, it is not the offers but the property itself that should lead the decision-making process. The best offers on easy financial structuring and freebies are of no avail if the property itself does not tick all the right boxes. Buyers should focus on their actual needs in terms of property type, size, location and price point, and avoid the temptation of over-leveraging their budget. If the property checks out on all the most important fronts, one can consider the accompanying offers – again on the basis on actual need, and only after reading the fine print.